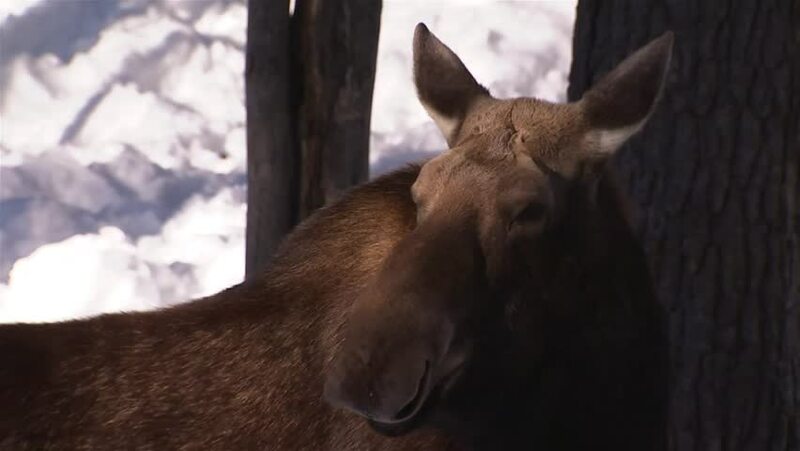 hd00:21Moose standing in a forest in winter. 4k00:15Close up view of an adult male bull elk deer with brown fur with steamy breath coming from its nostrils in Busse Forest Preserve with tall yellow grasses and trees in background in Elk Grove Village. hd00:27Lynx sitting out front of its den in a forest in winter. hd00:13Real big deer maral on the background of a snowy park, close-up.